Drive Culture How can I understand plug-in hybrid fuel ratings? How can I understand plug-in hybrid fuel ratings? Getting a plug-in hybrid is, ideally, a little like getting two different cars – an electric for buzzing around town and a gas car for anything farther. 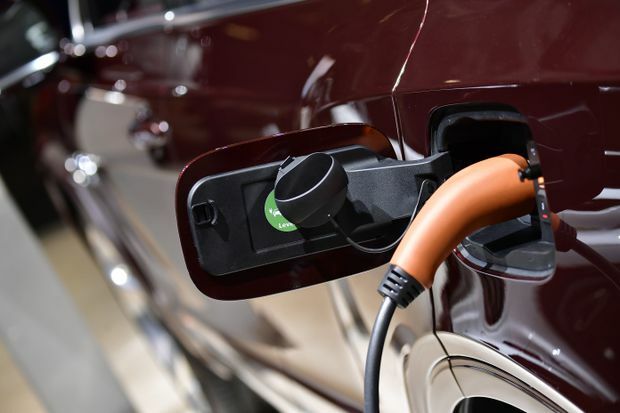 But figuring out the fuel economy ratings depends on the kind of plug-in hybrid electric vehicle (PHEV) you get, Natural Resources Canada (NRCan) said. A blended PHEV use gas and electricity in electric mode, while a series PHEV runs exclusively on the battery until it’s depleted then switches to gas. In NRCan fuel economy ratings, there are 25 PHEVs. Only five of them are series PHEVs, including the Chevrolet Volt and the BMW i3 with gasoline range extender. For example, the Volt gets a rating of 2.2 Le/100 km for electric and 5.6 litres/100 km combined (5.5 city and 5.6 highway) for gas. That electric number applies when the car is running on battery only. Once it switches to gas, the gas number applies. And that electric rating of 2.2 Le/100km actually has nothing to do with gasoline. It’s a translation of the car’s electric fuel economy – 19 kilowatt hours per 100 km – to numbers that most of us already understand. If you keep your car charged and never drove far enough that the gas engine kicked in – for the Volt, the stated range is 85 km but, as with all electric cars, that can vary – it shouldn’t be using gas at all. As long as you take shorter trips, it should cost you nothing at the pumps – but you’d see it on your electricity bill. According to CAA’s online ownership cost calculator, if you drove it in electric for 10,000 km in a year in B.C., where the electricity price averages out to about 10 cents a kilowatt hour, you’d pay $233 in electricity. And, if regular gas were $1.55 a litre – which it has been, and higher, in Vancouver – driving 10,000 km on gas alone would cost $853. It can be two things? For blended PHEVs, it’s not that simple. Typically, the car decides when to combine gas and battery in electric mode depending on speed, acceleration and the charge left in the battery, NRCan said. In other words, your electric mileage may vary. You’ll probably use some gas in electric mode, but how much is, at least partly, up to you. In the ratings, they get a gas/electric number – with a disclaimer – and a gas-only number. For instance, the BMW 530e xDrive PHEV is rated at 3.3 Le/100 km for gas/electric and 8.2 L/100 km combined (8.8 city and 7.7 highway) for premium gas. Its stated electric range is 25 km. Most PHEVs also have specific settings – they might let you choose to use mainly the battery, or to conserve the battery and use mainly gas. So, if you go easy on the gas, you might not use much gas while in electric mode. But slowing down will also help you get better fuel economy in any vehicle, whether it’s a PHEV, gas or pure electric, NRCan said. And, if you don’t keep your PHEV charged or if you take it out farther than its range every day, you’ll be stuck with those gasoline fuel economy numbers. “If you’re driving a 150 km-long commute every day and have only a 25 km range, you’re not really getting the value out if it,” said Jim Vanderwal, senior program manager for climate change and air quality, with the Fraser Basin Council. Are driverless cars allowed on Canadian roads?